Are you feeling batty and beleaguered because you can’t ‘control’ sellers you’ve listed? If so, this blog is for you! How do you set the stage for a professional relationship with a seller? How do you list properties that sell? Most likely you’ll have a phone conversation with the seller before you do anything else. This is where many agents waste time and energy. They hear the seller say, “I want you to come over and tell me what my house is worth”, so they run over. Then, they find out the seller is listing with another agent, wants the evaluation for insurance purposes, or wants to move in one year, etc. Even worse, the seller says, “Just drop a competitive market analysis (CMA) on my doorstep. I’ll let you know if I want you to list the property.” The agent dutifully completes a CMA, drops it on the doorstep, and finds out another agent has listed the property! 1. Would you go to a seller’s home just because he asked you to come over? If not, what are your standards? 2. Would you give the seller a price opinion without a thorough analysis of the market trends and of the property? 3. Would you go to the seller’s home without knowing why he is moving? 4. Would you go if the seller wouldn’t let you explain how you work? 5. Would you go to the seller’s home of all sellers were not present? If you answered ‘yes’ to any of these questions, you probably are doing too much work listing properties for not enough income! Establishing standards to meet for first visits to sellers, along with a pre-first visit questionnaire, will assure you use your time wisely. Want much more help in screening sellers AND convincing them to list at the right price? 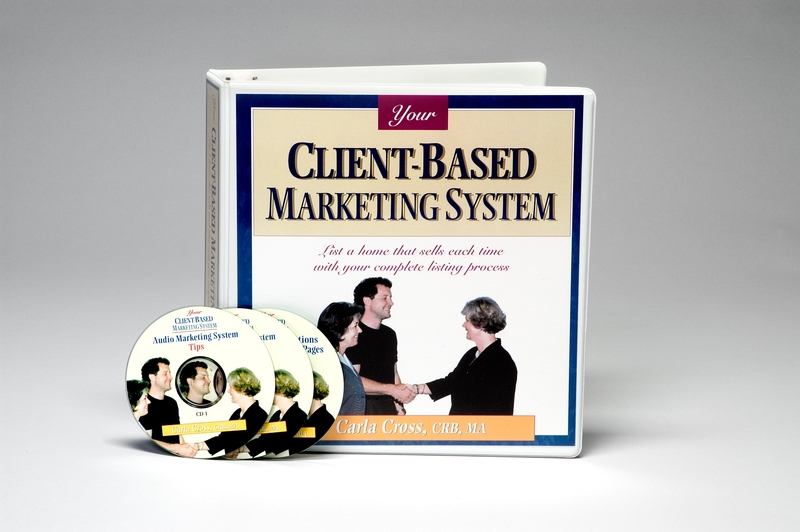 Take a look at Your Client-Based Marketing System. 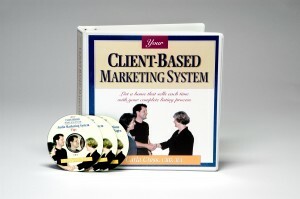 Powerpoint presentation, plus dozens of tips on presenting professionally. Take charge of your listing process now!